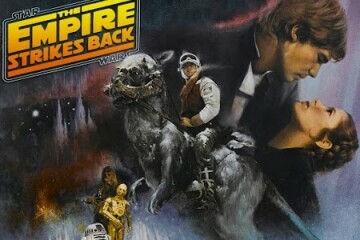 Star Wars: Empire Strikes Back -- May the 4th Be With You! Our May the Fourth extravaganza continues in the tiny theater with our evening show of 'The Empire Strikes Back'. Come in costume and enter a raffle for a complimentary use of our #tinytheater. Star Wars trivia, space themed photo booth, and door prizes from local businesses. Doors open 7:00pm. Showtime 7:30pm. $6/person, bottomless popcorn.